Gabriel Silva traced his country's rise as a major player in global markets and international relations. 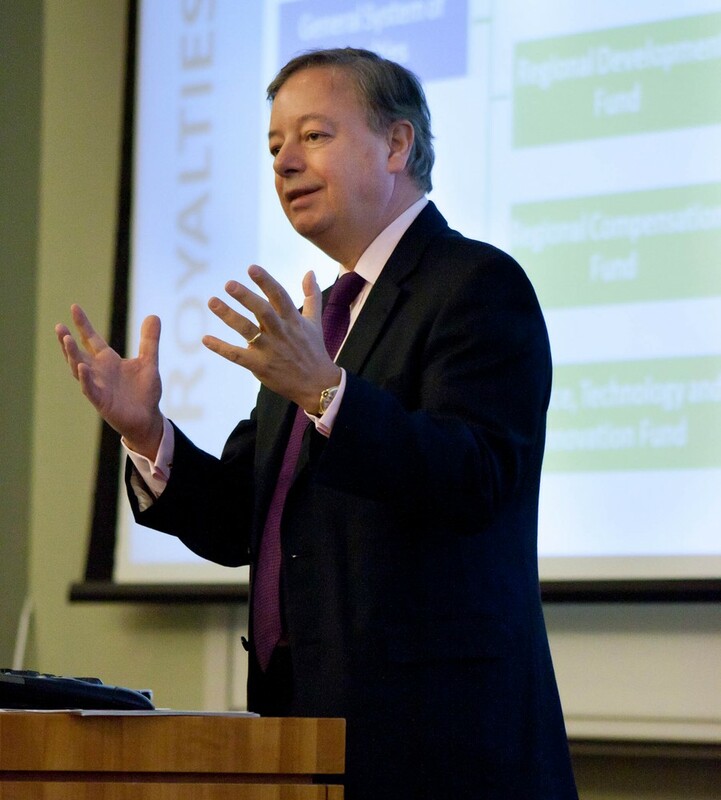 Gabriel Silva, Colombian ambassador to the United States, spoke about Colombia’s rapid economic development over the past decade and its increased role in global affairs at a talk at the Booth School yesterday morning. Silva discussed the growth of Colombia’s economy, noting that in 2010, Colombia’s gross domestic product (GDP) was $437 billion, larger than those of Belgium and Sweden. Over the last decade, Colombia’s per-capita GDP has increased by 73 percent, leading the World Bank to declare Colombia an “Upper Middle Income” country. Colombia has also limited inflation to what Silva called “developed country levels,” in contrast to the rampant inflation plaguing some of the country’s neighbors. Silva credited much of this growth to the country’s improved security. He noted that from 2002 to 2011 Colombia’s homicide rate fell by 49 percent, making it lower than that of Washington D.C., and that the kidnapping rate dropped by 89 percent. The amount of coca plant, a crucial component of cocaine, grown in Colombia also has decreased over the last decade. Silva cited Colombia’s increasing diplomatic role in global affairs as proof of its emergence on the world stage. One question from the audience was about a proposal by Guatemalan President Otto Perez Molina to legalize all drugs. Silva predicted that the United States would be the first country to legalize marijuana over the next few years, and that his country should have a role in any legalization efforts. “Should we have a say in that? I think so,” he said. The talk was hosted by the Latin American Business Group, a student organization at Booth.